The Histochemical Society (“HCS”), 9650 Rockville Pike, Bethesda, Maryland 20814. What information does HCS collect? The data HCS collects is used to help us better serve our constituents and to further our mission to advance health and well-being by promoting research and education in biological and biomedical sciences through collaborative advocacy and service to our societies and their members. The information you provide to us will be used to keep you up-to-date on areas for which you have expressed interest. We will exercise discretion in the use of your personal information, as further described in this policy. It will be used only to support our relationship with you or your organization. It is our general policy to collect and store only personal information that our website visitors, clients, customers and constituents knowingly provide. Use of Information – How does HCS use data collected? General Users. HCS does not collect any personal information from users browsing our website. When you visit our website, we may automatically collect statistics about your visit. This information does not identify you personally, but rather about your visit to our website. We may monitor statistics such as how many people visit our site, which pages people visit, from which domains our visitors come and which browsers people use. We use these statistics about your visit for aggregation purposes only. Aggregate data are only used for internal and marketing purposes and do not provide any personally identifying information. Personal information and information specific to a requested activity may be collected along with a request for service, product, marketing, event or advocacy resources. For example, this information may include your company or organization name, contact name, address, telephone number, email address and services requested. HCS Conference Registrants, Journal Subscriptions, Products, Services and Other Marketing and Advocacy Communications. Generally, HCS uses data collected to improve its own web content; to respond to visitors' interests, needs and preferences; to further HCS’s mission; and to deliver products and services. To gain access to some resources and personalization features on HCS websites, users are asked to register and provide some limited information. This information is submitted voluntarily. HCS asks users to provide information related to supporting the specific service being provided. Similar information may be requested by HCS through conference or seminar registration, abstract submissions, publication orders, subscriptions, and contest/award applications. Additionally, for some emails sent by HCS to users through its listservs and electronic newsletters, we will collect specific information regarding what the recipient does with that email. For those emails, HCS will monitor whether a recipient subsequently clicks through to links provided in the message. Other information collected through this tracking feature includes: email address of a user, the date and time of the user's "click," a message number, name of the list from which the message was sent, tracking URL number and destination page. HCS only uses this information to enhance its products and distribution of those products to its constituents. Credit Card Account Information. HCS does not disclose credit card account information provided by its customers. When customers choose to pay using their credit cards, HCS submits the information needed to obtain payment via a secure internet protocol to the appropriate payment gateway. HCS uses reasonable administrative, logical, physical and managerial measures to safeguard personal information. No measures can be guaranteed to provide 100% security, however, and accordingly HCS cannot guarantee the security of your information against loss, theft, or unauthorized access and use. 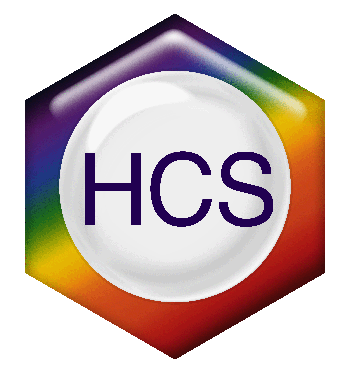 HCS is the abbreviated name of the The Histochemical Society, located at 9650 Rockville Pike, Bethesda, Maryland 20814. We are committed to safeguarding the privacy of our website visitors, clients, customers and constituents. This policy applies where we are acting as a data controller with respect to personal data. We collect information about you when visiting HCS websites relating to your use of HCS sites, collected using cookies. We also collect information when you request our services and when voluntarily completing surveys, contact forms, responding to marketing and advocacy communications and participating in HCS events and activities. We only hold this information as long as it is necessary to fulfill a contract, provide you with requested services, including HCS newsletters and communication updates, or where we believe you will be interested in HCS activities. We use your information collected from the website to personalize your repeat visits to our websites. We may share your information if you indicate you would like to learn more about a HCS society or partner during a meeting registration process or in your communication preferences. That genuine and legitimate reason is not outweighed by any undue harm to of your rights and interests. For data which does not meet either the Legitimate Interest or Performance of a Contract criteria, we will obtain your consent prior to collecting your personal data. You have a right at any time to stop us from contacting you for these purposes or giving your information to third party partners or suppliers by modifying your communication preferences or contacting us at the email addresses listed below. Generally, those who wish to attend HCS conferences events will register for those events online, by email or over the telephone. During the process of that registration, you share with us personal information about yourself which generally includes contact information, demographics pertaining to your profession and payment information. Alternatively, we may collect association membership data directly from the organization to which you belong. Personal Information Registration information will be part of a database that is accessible only to HCS employees and conference organizers. HCS Scientific Research Conferences (SRCs) use your contact information to provide you with up to-date information about current conferences as well as future SRCs. A participant list is available online to registered conference participants that includes your name, institution, institution address, and email. A survey company receives your name, email address, and conference you registered to attend in order for participants to receive an online evaluation form. For those participants that are reimbursed for their participation at the conference, contact information is sent to our internal HCS accounting database, and any bank or wire transfer institution that accounting uses in order to facilitate the payment. If participants request information from an HCS member or non-member society, or another HCS department, via the HCS SRC department, contact information will be shared to facilitate the request. HCS SRC does not sell your contact information to third parties. Personal data that we process for any purpose or purposes is not kept for longer than is necessary for that purpose or those purposes. In general, we will retain your personal data while we are actively engaging in an activity with you and for a maximum period of no longer than seven years following the completion of that activity. Legal Bases: We will store or use your data only to support the performance of a contract, to further a legitimate interest, to comply with a legal obligation or with your consent. Modification: Request changes or updates to any personal data HCS stores. Erasure: Request that HCS purge all personal identifying information. If you would like to exercise a right you have under GDPR, please contact us at the email or mailing address below.